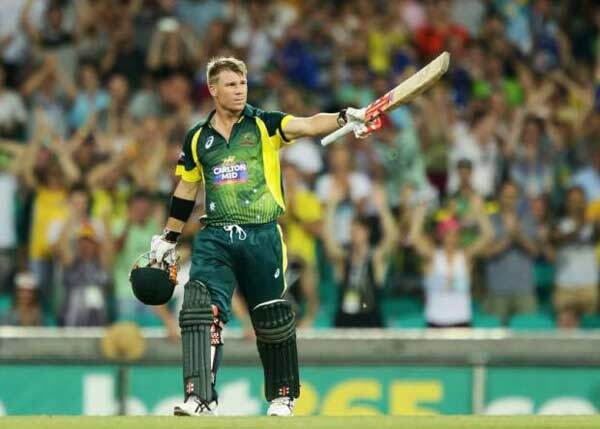 England, UK (BBN)-Australia opener David Warner has been ruled out of the tour of Bangladesh in October because of the broken thumb he sustained while batting during the second ODI of the ongoing series in England. He does not require surgery on the thumb of his left hand, however, and is expected to be fit for the home series against New Zealand in November, reports ESPNcricinfo. Cricket Australia executive general manager of team performance Pat Howard said it would be about six weeks before Warner could bat and field again. “David has been told that the fracture will take at least four weeks to stabilise and a further two weeks before he can start batting and catching again,” Howard said. “He will be reviewed by the specialist at the end of the month to determine when he can resume playing. Warner’s absence means Australia need to appoint a new vice-captain for a Test side already shorn of tremendous experience following the retirements of Ryan Harris, Michael Clarke, Chris Rogers, Shane Watson and Brad Haddin before and after the Ashes were lost in England. “When the selectors meet over the coming days to choose the squad for Bangladesh, they will be asked to nominate a vice-captain for that tour,” Howard said. Warner had suffered the broken thumb when he was struck by a bouncer from Steven Finn off the first ball he faced in the second ODI at Lord’s on September 5. He retired hurt immediately and was ruled out of the rest of the ODI series. With Warner injured and Rogers retired, Australia will have to pick a brand new opening combination for the series in Bangladesh. The first Test will be played in Chittagong from October 9 to 13, and the second in Mirpur from October 17 to 21.